In many parts of the world, people are taught to carefully create and diligently decide what jobs and training to attain in order to build a powerful and successful resume. After all, earthly speaking, our resume is often the key to opening certain doors in the business world otherwise unattainable. If I want to move in a certain direction in this life, often I must first attain, labor, and strive for the credentials and proper experience. Then I must carefully and creatively record each accomplishment to build my portfolio and resume, all in hopes of moving forward in my desired direction. But what should be the Christian’s most desired and sought after destination? While there is definite merit in getting a good education, degree, and experience in the job world, I would argue there is a much better resume we should seek to be building, one that does not point to our intelligence, wealth, and experience, but one that instead displays our weakness and utter dependence upon the True and Living God. One such example of a godly resume is found in Philippians 2. Here Paul, through the inspiration of the Holy Spirit, writes about Epaphroditus. Most of us, myself included, might say, “Epaphro who?” Philippians 2:25 says, “Yet I supposed it necessary to send to you Epaphroditus, my brother, and companion in labor, and fellow soldier, but your messenger, and he that ministered to my wants.” Although he is only mentioned twice by name in Scripture, here in Philippians 2 and also in Philippians 4:18, he definitely serves as an awesome testimony of what occurs in one heart yielded to the Lord. What a wonderful, godly resume Epaphoditus has! This is not to point to him, but rather to the Lord, who wants to work mightily in and through all of His adopted sons and daughters. So what were the notable and biblical attributes applied to this believer’s spiritual resume? BROTHER: First, he is called a brother. We all, as believers, are born again by the power of God, adopted into the kingdom of God. We are not above one another, but simply brothers and sisters in the Lord, seeking to obey our Heavenly Father from the heart. Epaphoditus was called a brother. COMPANION in LABOR: He was also called a companion in labor. What a blessed title! He was good company to Paul, encouraging and serving with him in this labor of love called Christianity. 1 Thessalonians 1:3 says, “Remembering without ceasing your work of faith, and labor of love, and patience of hope in our Lord Jesus Christ, in the sight of God and our Father…” May we always be good company to our brothers and sisters in the Lord, encouraging and reminding one another that our labor is never in vain and always in love! FELLOW SOLDIER: Paul also referred to him as a fellow soldier. We truly are in a battle and it’s a blessed thing to serve alongside fellow soldiers. This world is not our home. We are simply passing through. It’s been correctly said that we’re not on campaign to reform this world, but rather on a rescue mission, calling out as many as will come. The “mighty” Paul did not call Epaphorditus a private serving under “General” Paul, but rather a fellow soldier, comrades who desired to faithfully follow the commands of the Lord. MESSENGER: Epaphroditus is also called a messenger. A messenger is usually not the one writing the message, but the one making sure the correct message gets to the right people at the right time. In both World Wars 1 and 2, carrier pigeons were successfully utilized to transport messages back and forth through very dangerous territory. Arguably, the pigeon played a crucial role in both World Wars. A messenger has everyone other than himself in mind. He must first make the author of the message his top priority. He then must desire those the message is intended for above his own comfort and importance. Often the messenger receives the direct consequences of the message, yet he loves the message and the author more than his very own life. This constitutes a good and faithful messenger. May the Lord truly help us to earnestly and diligently add to our eternal resumes daily, first and foremost seeking those things which are above. After all, our home is in Heaven where Jesus sits at the right hand of the Father. What could be better than making the Mighty and Everlasting God our greatest pursuit and prize?! This is such a blessed promise of God, but it also serves as a very real reminder of how easy it is to run in our own timing and serve in our own strength. Often times, we tend to read this verse and get focused on us as the eagle, but may we never forgot that without the air, everything else is meaningless. Eagles have a God-given instinct to utilize the warm updrafts to propel them upward and onward, expelling little of their own energy to travel. Interestingly, the currents are what dictate the timing and direction for the eagles. They must simply wait for the wind and have no authority over it whatsoever. 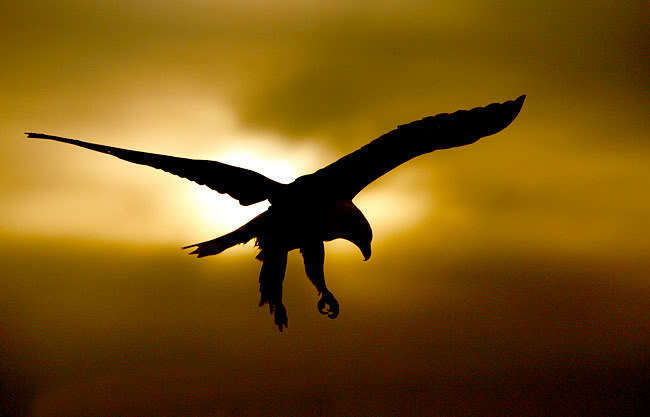 Just as it is with an eagle, when running, it is the air that proves most necessary in going the distance. The same air that propels eagles into an almost effortless flight also provides the oxygen necessary for the runner’s body to continue the race. The runner does not make the air, nor does he make the air work throughout his body. He simply must breathe. I’m sure many of us have experienced that dizzying sensation that occurs when our bodies just don’t have enough air. Left for too long, a lack of oxygen will not only bring about dizziness, but also effect the very thoughts and actions of the air-deprived individual. Instead of enjoying the direction already provided for by the Holy Spirit, we so often desire to dictate our own timing and direction for the life we live. We not only want to control the effects, but also the causes and then wonder why we receive so little joy and peace from our Heavenly Father. Let us remember the Holy Spirit is the breath, the air of every born again believer. He desires to daily and diligently direct our steps, supplying our every need! Jesus reminds us in Matthew 11, “Come unto Me, all ye that labor and are heavy laden, and I will give you rest. Take My yoke upon you, and learn of Me; for I am meek and lowly in heart: and you shall find rest unto your souls. For My yoke is easy, and My burden is light.” Matthew 11:28-30. Jesus is our breath and life. It is in Him alone that we should live and move and have our being! 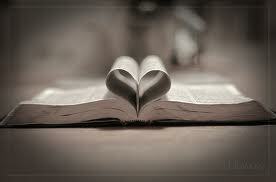 God’s Word is literally a never ending subject designed to perform a vast array of functions. Ultimately it’s THE unique love letter from the Creator and Savior Jesus Christ, who is by no coincidence called the Word of God. John 1:1. It is the only pure and sufficiently perfect revelation of God to mankind and is filled with eternal instruction for righteousness. It is the true and complete map leading every humble seeking sinner to the Righteous One- Jesus Christ. 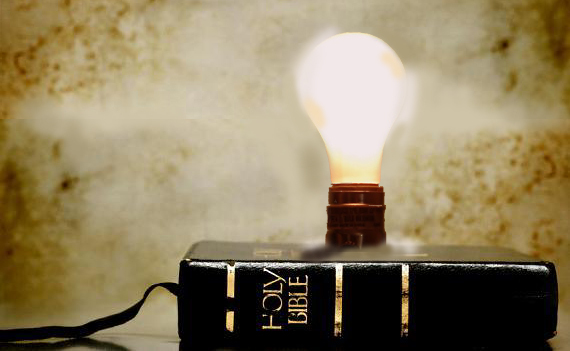 In 2 Timothy, the Lord, through Paul, also reminds us that “all Scripture is given by inspiration of God, and is profitable for doctrine, for reproof, for correction, for instruction in righteousness, that the man of God may be complete, thoroughly equipped for every good work.” 2 Timothy 3:16-17. 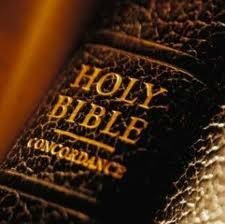 The Word of God is most definitely and eternally profitable, but it is also most assuredly practical! One of the very practical purposes it serves is to remind mankind that there really is nothing new under the sun. 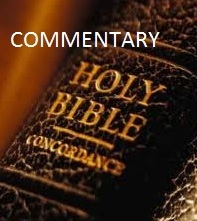 God’s Word is a historical reminder of His love and justice, mankind’s arrogance and pride, and Satan’s repeated attempts to kill, steal, and destroy. This historical and prophetic record we call the Bible is a very practical guide, revealing past and future accounts all for our benefit. The Holy Spirit reminds us in Romans 15:4, “For whatever things were written before were written for our learning, that we through the patience and comfort of the Scriptures might have hope.” God went to great lengths to not only preserve His Word, but also to make sure certain historical events were meticulously recorded. And since it is God who inspired the men who wrote His Word, not only are the events revealed accurately, but also those unseen areas, the intentions of men’s hearts. May we take careful heed to what has been recorded and preserved for every generation! The Old Testament is filled with Israel’s choices, both godly and ungodly. Sadly, many were the latter. Their decisions, though, serve two very important purposes for us today. First, they remind us that godly choices always lead to a beautiful walk with the Lord. Second, they remind us that ungodly choices are deceptive and common to every generation, even in our’s today. After reading through 2 Kings 17 the last few days, I couldn’t help but think of the constant barrage of today’s false doctrines, namely the purpose driven and emergent teachings not only infiltrating churches, but being warmly embraced and taught, all in the name of the Lord. It seems just as Israel had sought out so many false doctrines from the world around them, fearing men instead of God, so the same is being repeated today. Perhaps a bit repackaged, Satan’s strategies are actually all too familiar, promising something new, but in the end always leading men further and further into darkness. I’ve chosen to include a few comments below in brackets. Just a disclaimer and loving reminder- the comments are not inspired. May we truly take heed to God’s Word, letting it thoroughly transform and renew us, bringing eternal patience and comfort, all for our hope and His glory! 8 And walked in the statutes of the heathen, whom the Lord cast out from before the children of Israel, and of the kings of Israel, which they had made. 9 And the children of Israel did secretly those things that were not right against the Lord their God, and they built them high places in all their cities, from the tower of the watchmen to the fenced city. 13 Yet the Lord testified against Israel, and against Judah, by all the prophets, and by all the seers, saying, Turn ye from your evil ways, and keep my commandments and my statutes, according to all the law which I commanded your fathers, and which I sent to you by my servants the prophets. 14 Notwithstanding they would not hear, but hardened their necks, like to the neck of their fathers, that did not believe in the Lord their God. 15 And they rejected His statutes, and His covenant that He made with their fathers, and His testimonies which He testified against them; and they followed vanity, and became vain, and went after the heathen that were round about them, concerning whom the Lord had charged them, that they should not do like them. 16 And they left all the commandments of the Lord their God, and made them molten images, even two calves, and made a grove, and worshiped all the host of heaven, and served Baal. 17 And they caused their sons and their daughters to pass through the fire, and used divination and enchantments, and sold themselves to do evil in the sight of the Lord, to provoke him to anger. 20 And the Lord rejected all the seed of Israel, and afflicted them, and delivered them into the hand of spoilers, until He had cast them out of His sight. 21 For He rent Israel from the house of David; and they made Jeroboam the son of Nebat king: and Jeroboam drove Israel from following the Lord, and made them sin a great sin. 23 Until the Lord removed Israel out of his sight, as he had said by all his servants the prophets. So was Israel carried away out of their own land to Assyria unto this day. 24 And the king of Assyria brought men from Babylon, and from Cuthah, and from Ava, and from Hamath, and from Sepharvaim, and placed them in the cities of Samaria instead of the children of Israel: and they possessed Samaria, and dwelt in the cities thereof. 25 And so it was at the beginning of their dwelling there, that they feared not the Lord: therefore the Lord sent lions among them, which slew some of them. 26 Wherefore they spake to the king of Assyria, saying, The nations which thou hast removed, and placed in the cities of Samaria, know not the manner of the God of the land: therefore He hath sent lions among them, and, behold, they slay them, because they know not the manner of the God of the land. 27 Then the king of Assyria commanded, saying, Carry thither one of the priests whom ye brought from thence; and let them go and dwell there, and let him teach them the manner of the God of the land. 28 Then one of the priests whom they had carried away from Samaria came and dwelt in Bethel, and taught them how they should fear the Lord. 29 Howbeit every nation made gods of their own, and put them in the houses of the high places which the Samaritans had made, every nation in their cities wherein they dwelt. 32 So they feared the Lord, and made unto themselves of the lowest of them priests of the high places, which sacrificed for them in the houses of the high places. 33 They feared the Lord, and served their own gods, after the manner of the nations whom they carried away from thence. 36 But the Lord, who brought you up out of the land of Egypt with great power and a stretched out arm, Him shall ye fear, and Him shall ye worship, and to Him shall ye do sacrifice. 37 And the statutes, and the ordinances, and the law, and the commandment, which He wrote for you, ye shall observe to do for evermore; and ye shall not fear other gods. 38 And the covenant that I have made with you ye shall not forget; neither shall ye fear other gods. 39 But the Lord your God ye shall fear; and he shall deliver you out of the hand of all your enemies. 40 Howbeit they did not hearken, but they did after their former manner. 41 So these nations feared the Lord, and served their graven images, both their children, and their children’s children: as did their fathers, so do they unto this day. Many of today’s churches are seeking something new, fresh, and ever changing. By doing so, they are choosing to abandon the old paths of God’s sound and secure Word. They are choosing to fill themselves with empty, dangerous, and foolish doctrines instead of allowing the power of God transform and renew God’s people. May Israel’s history be a very real reminder of just how dangerous it is to play with the world and it’s doctrines taught by the god of this world. Instead of dabbling with this world, why not be sold out for the truth of God? After all, what could be more profitable, and what could be more practical? WORSHIP: Worship isn’t just singing a tune in the car or an emotional experience during a church service. Rather, it’s a heart of adoration, devotion, and obedience. It’s the intentional and willing surrender of your heart and mind to a particular person or object. One might even say the one you worship is properly your obsession. BEAUTY: Beauty is truly more than skin deep, especially when it comes to the Lord. His beauty is so much more that what He looks like. Too often in our generation beauty is associated with the visual: a sunset or famous model, but beauty has levels and layers far beyond the outward appearance. Jesus’ truth and mercy, His grace and justice; all of His non-visual attributes all come together to radiate His true beauty. Beholding His glory will truly be an eternally beautiful reality that will far outweigh anything we can merely see with our eyes! His beauty will penetrate our understanding, bringing to light the depth of Psalm 29:2. A good rule of thumb: Place all things upon the altar, then set them ablaze. (1 Kings 18:37-39) All that remains is worth worshipping. In other words, only worship that which is eternal- worship God and Him alone!